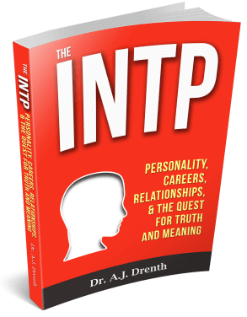 The INTJ is a deeply theoretical type equipped with penetrating intuition. They make the most brilliant theorists of all types, comprising a large percentage of top-tier scientists, thinkers, and college professors. Like INTPs, they live in their own minds, chewing on whatever theoretical problems or concerns inhabit their mindspace. Despite the fact that INTJs are perceived to be highly rational types, their dominant function is actually intuition, or more specifically, Introverted Intuition (Ni). This suggests that INTJs are far more receptive than they are often given credit for. Their first goal is not to define or impose order on things (T), but to attune to the insights of their intuition. 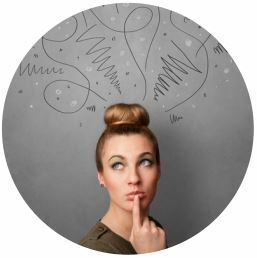 What intuition offers INTJs is an understanding of the bigger picture, as well as how that bigger picture comes to bear on a particular problem or situation. Their intuition operates like a funnel: It starts with a broad swath of information from which it can then extract a convergent insight or answer appropriate to a specific context or problem. 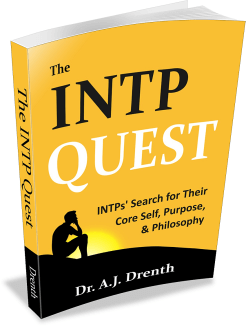 I describe this process in greater depth in my personality profile of the INTJ. 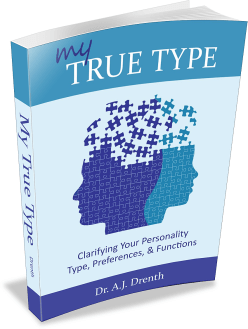 The term “INTJ” is by no means a new notion, having first been advanced by Myers and Briggs in the mid-20th century. Of course, Myers and Briggs were reliant on the seminal work of Carl Jung, who first described the introverted intuitive type in his 1913 classic, Psychological Types. It is only recently that a website called 16 Personalities has appended the letters T and A to each of the 16 types, ironically (considering their website’s name) expanding the number of types to 32. According to 16 Personalities, T stands for turbulent and A for assertive. As I’ve discussed elsewhere, this seems a rather dubious dichotomy when one consider that these terms do not constitute conceptual opposites. From where I sit, turbulent would be more sensibly paired with a term like “steady” and assertive with a notion like “passive.” Nevertheless, we will now explore how these two variables might play out with regard to INTJs. According to Google search data, there are roughly an equal number of searches for the INTJ-T type as there are for the INTJ-A. Based on my research into INTJs, this is not terribly surprising. Their turbulence may be related to their introversion as well as to the fact that many INTJs are “highly sensitive persons” (HSPs). While INTJs may not see themselves as emotionally sensitive, they are often sensitive in other ways. They may for instance, be easily overstimulated or overwhelmed by external stimuli, such as crowded or noisy environments. This may engender deep feelings of unease or anxiety, perhaps even culminating in a migraine or panic attack. For more on this issue, see our post, How INTJs & INFJs Approach their Body & Physical Needs. Unfortunately, people too often overlook the positive side of INTJs’ sensitivity, namely, its contribution to their perspicacity and perceptiveness. If we think of a sensitive nervous system as one that is highly attuned to all sorts of stimuli, it should not surprise us that INTJs can pick up on nuances and subtleties that are lost on other types. This, of course, goes hand-in-hand with their intuition, which requires the accurate perception of raw data (and lots of it) to work its magic. Their introversion and sensitivity notwithstanding, INTJs are also J types. According to type theory, this means that they extravert their judgments (specifically, their thinking judgments), which is why they are often viewed by others as blunt and opinionated. 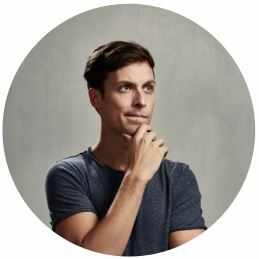 Because INTJs don’t shy away from firmly and directly expressing their judgments and convictions, we can see why many would test as assertives (e.g., INTJ-A). Although INTJs may lack some measure of social confidence, especially when it comes to things like making small talk, they are typically quite confident in their intellectual capacities. Thus, whenever a conversation turns to matters of knowledge or theory, the INTJ feels at home and ready to engage. Even adolescent INTJs aren’t afraid to dive into adult conversations if they feel they have something of value to contribute. Assuming INTJs have gained sufficient exposure to a given topic, they know they can add something worthwhile to a conversation. For similar reasons, INTJs tend to do well in interviews, confident that their knowledge and intuition can yield insightful responses. In light of the above, we can see why INTJs might test as either the INTJ-T or INTJ-A personality type. We can also see why the addition of the T or A variable may do little to further our understanding of INTJs. The A element, in particular, seems to overlap significantly with the J preference (at least with respect to verbal assertiveness) and therefore verges on being redundant or superfluous.